The BBC announced today its plans for BBC Scotland and BBC Alba to be included in the new Royal Charter, and it’s fair to say that most people will be pleasantly surprised and enthusiastic about what’s to come. In the biggest shake-up of the state broadcaster’s role north of the border in 30 years, a new dedicated BBC Scotland channel will launch in Autumn 2018 to provide 5 hours of Scottish-focussed content each day. The centrepiece of this new channel will be a so-called “Scottish Nine”, a 1-hour long news broadcast based on Scottish, UK and international news, viewed from a Scottish perspective. It’s been a long sought-after feature by many who feel Reporting Scotland is not up to scratch in providing a sufficiently rounded view of Scotland and its new place in the world. The total funding package mean that BBC Scotland shall receive an extra £30 million per year to produce its own content, and BBC Alba has also been endowed with an extra annual budget of £1.2 million, bringing the total annual income to £20 million. All-in-all, this represents a fantastic boost to Scottish broadcasting – one that few really saw coming – and it’ll be exciting to see what comes of it. The BBC’s reputation in Scotland has been in decline for years, with a certain quality in its news coverage, entertainment programmes, sports coverage and all-round production values being lacking in the eyes of many. The news division has been particularly maligned, with its coverage of the independence referendum being repeatedly questioned and campaigns such as “Misreporting Scotland” springing up to fight it. 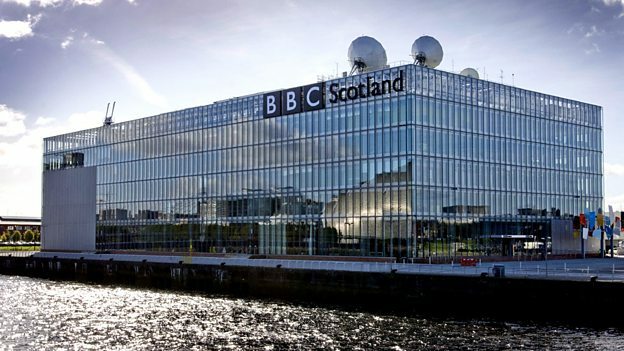 More money is rarely a silver bullet to institutional weakness, but the fact that BBC Scotland will get its own channel to play with does suggest and inspire hope that new, higher-quality programmes will be coming to Scottish TV soon. With BBC Scotland’s new role, and BBC Alba’s new funding, there is room for a significant rebrand opportunity for both channels to more truly represent what each should offer their respective audiences. The new channel can be home to a new range of programmes designed to cater to Scottish audiences. Hopefully these can move away from the very hit-miss-miss approach to things like comedy shows that viewers have experienced in the last decade or so. It could also be an opportunity to re-establish the BBC as the go-to channel for sports coverage, with an improved Sportscene surely being on the agenda and more coverage of Scotland’s national game too. The new “Scottish nine” is also a stellar opportunity to revamp the way the TV news is presented here in Scotland, with a new wide-reaching format that’s said to include live interviews, investigative reports and more. The programme will be edited and produced entirely here in Scotland and will result in 80 new jobs being created for journalists, which is an incredible development that should hopefully be used to breathe new life into the industry and the BBC. BBC Alba has been wildly successful since its launch in 2008, but issues such as too much sports coverage, unavoidable English subtitling of Gaelic problems and English-focussed programmes have weakened its potential as a truly Gaelic channel. With the possibility of some programmes, such as football and rugby coverage, moving to the new BBC Scotland channel, these issues can perhaps be addressed more easily. The combination of BBC Alba’s new funding and some freed-up existing income could mean a wealth of new programmes that don’t exist at present to serve the need for more engaging and accessible entertainment programming for different audiences within the Gaelic community. Today’s announcement was a massive step in the right direction, but it’s worth looking at a wider perspective and seeing that there is still room for improvement in the BBC’s settlement in Scotland. The BBC had to change with the times here in Scotland to cover the developments of enhanced devolution, a changing culture and a decline in television engagement – and it does seem like the new Royal Charter will bring the improvements that have been campaigned for for so long. However, until BBC Scotland launches in Autumn 2018 we’ll have a long wait to see if they can put the mouth where their money is.